Westfalia Employee Testimonials - Westfalia Technologies, Inc. I love the people. We're all working toward the same end-game, and that end-game is a functional automated warehouse. My job allows me to work with many different departments throughout the company on a variety of projects. I also love the team that I work with in the marketing department! I believe that having a great team that you can bond with both in and outside of work is key to loving your job. Our customers are my favorite part of my job because without them, we are nonexistent. It is not only my duty, but my absolute pleasure to serve them. I love getting to meet people from all over the world; I feel blessed to learn about so many different cultures. I think the people you work with really make a difference in your love for a job; and the people that work here are awesome! Everyone is extremely supportive, smart, and passionate about what they do. I love the work environment and the camaraderie that exists between coworkers. I also love that my job challenges me everyday in many different ways and allows me to play a key roll in selling our systems. I love the variety of work and the different challenges I face. Most of all, I love my parts team. Work is much more productive and fun when you are surrounded by like-minded individuals who share the same vision. There are several things I love about my job, the people I work with, the autonomy and flexibility in fulfilling my responsibilities, the work environment, the possibility to be involved in so many different aspects of the operation and the technology we work with, which is pretty fun. Creating the best impact for the business through leadership, sound management and, above all, enabling people to do their jobs the best they can is why I find my job so important. 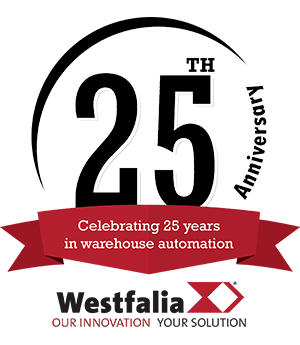 I love that I am a part of a close-knit company that is pioneering the future of automation in warehouses and beyond. The technology around me is mind-blowing and each day I get to learn something new about this industry and the capabilities of where it can go. I feel like I’m a part of a team that is truly changing the world, little piece by little piece. I enjoy working with potential customers to improve their operations by recommending a material handling solution that provides the best value to their organization. I really love that momemt when a prospect company realizes that a Westfalia solution is the perfect fit for their challenges. I worked on the Pepsi Tampa project, while at KUKA Systems, with Westfalia. I quickly became impressed with the Westfalia leadership and project team. Since then, I continued to grow my career in management, and felt now was the right time to join this team, as we are diversifying and growing our business model. This is an exciting time to be with Westfalia. I like that I get to work on almost all aspects of Savanna, from the front-end client to the back-end server and the database. It’s rewarding to work with things actually physically move as an end result. I enjoy the challenge of designing something new or different. I like that after my designs are released, I get to see them produced in the shop. I also enjoy the friendly atmosphere of Westfalia. I love this job because there's always something new to do. Every customer is different and has different challenges for us to solve. I love the diversity and the empowerment of what software development allows a person to do. Every project we do, whether it be for internal development, or for our customers, no two days are alike, and nothing is cookie-cutter about Westfalia. I love the amount of time that Westfalia devotes to their employees. I heard about the company's great career opportunities through a former employee, and I'm glad I made the decision to join the team. I love that every day is different and that I am constantly learning. I also really enjoy interacting with all of the employees. I feel every aspect of my job is important, taking an active role in supporting Westfalia's employees. I like that I get to work on almost all aspects of Savanna, from the front-end client to the back-end server and the database. It’s rewarding to work with things actually physically move as an end result. It is also a very large amount of responsibility that directly impacts the customer’s satisfaction with what we provide to them as a company. My job allows our company to reduce costs and pass savings onto our customers for future success. I strive each day for continuous improvement of all processes and teach/drive my team to enhance their skills and knowledge. To me, engineering appears to be the foundation of the Westfalia projects. Engineering is following up on all the details are that can be very critical to the success of the overall project. [I love] the people I get to work with on a daily basis and the new challenges every day. I love my job because I interact with people in my department every day to move projects forward and enhance the way things move by allowing new and old systems to gain and improve functionality. I love the work that I do and the other employees that I work with. Part of my job is payroll and that is important to all the employees so that is important to me. I admire the way Westfalia does business. Our technology is exceptional, and the entire company is dedicated to successful solution implementation and operation. Westfalia seeks to be more than a vendor. We aim to be a business partner across the lifecycle. As service manager, I concentrate my efforts on holding face-to-face client meetings to understand service and parts needs to ensure 100% client satisfaction. I love the fact that I am always learning. One of the best parts of my job is seeing so many different applications. Because of this, I am constantly learning something new to be able to address a new situation. I love interacting with and getting to know people within the company. I find the work we do to be innovative and I enjoy telling others about what we do.